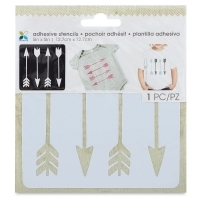 Decorate tees, tanks, totes, and more with Momenta Adhesive Fabric Stencils. Backed with adhesive, these reusable stencils are easy to position and stay right where you put them. The adhesive also helps prevent paint bleeding. 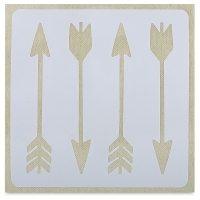 Made of durable, long lasting vinyl PVC. ® Momenta is a registered trademark.